Hedgerows brimming with cow parsley, foxglove and honeysuckle lead you along picturesque country lanes to this hidden gem, gently nestled in beautiful surroundings with breathtaking views across the rural landscape of North Essex. Watching the sunset over the woods as you stand on the patio at The Compasses, you could be forgiven for believing you were hours from civilisation. However, located a mere 20 minutes from Chelmsford, Colchester and Stansted airport they are perfectly located and less than an hour by train from Central London. The Compasses wraps you in warmth, character and rustic charm from the minute you walk through the door. The well designed interior with contemporary decoration speaks of personal touch and gives the impression the building, and everything in it, is loved and cared for. Warm sandstone floors in the bar with new oak timbers and sash windows give bright clean light to compliment the warmth from the fireplaces. Moving through, the ceremony area is comfortably large without feeling barnlike and retains a feeling of intimacy. The gardens are spacious and well presented with large patios and stunning views across countryside to mature woodland. Pattiswick sunsets are famous for their beauty and stunning pink skies set the perfect backdrop for beautiful wedding photos. Formerly a gastro pub, The Compasses gained a multitude of national awards over the years including Great British Pub of the Year, Family Pub of The Year, Best Restaurant in Essex and Best Gastro Pub in Essex. Its entry in the Michelin Guide amongst others is testament to the pride the team take in the quality of the food on offer. With an impressive reputation for their personal touch, The Compasses at Pattiswick is fast establishing itself as a front runner in a new generation of wedding venues where the watch word is flexibility and the answer is invariably ‘yes!’. Ever accommodating, The Compasses can create bespoke packages for small and intimate affairs right up to parties of 150 guests with exclusive use available for all. Here, wedding arrangements are all about fitting in with you; ‘Your Venue, Your Vision, Your Very Special Day’ is the teams moto and together they have a wealth of experience to help any couple build a day to remember! Brides have access to the room from 10am where the bridal party can get ready prior to the ceremony. There is room for up to eight people, including four mirrors and chairs for hair and makeup, as well as a comfy seating area and full length mirrors. T&C’s apply. Cannot be used in conjunction with any other offer. Contact the team today on 01376 561 322 for more information or to book an appointment. Ross and I were lucky enough to have our wedding here on Saturday 12th August. It was such a beautiful day and we couldn't have asked for more. We fell in love with the venue the first time we visited, Jane was so lovely and we were completely sold. It is a relaxed and warm place but extremely professional. Claire and Paul ensured everything was perfect and well organised leading up to the day. On the day Paul was amazing. He ensured everything ran smoothly, calming our nerves and made sure we had the best day (which we very much did). We had our wedding at The Compasses on 26th April 2018 and we couldn't have wished for a better day. From the moment we viewed the venue in January 2017, we knew we wanted to get married there and didn’t even go and see any other venues as we knew no where else would be able to compare. It was a real bonus that the Bridal Preparation Room was ready in time for our wedding. I arrived on the morning of the wedding with my mum and bridesmaids and it was so nice to be there when everything was being set up etc. Sue looked after us; supplying coffee and Prosecco and having the one way mirror in the door was great – we loved watching guests arriving. The wedding itself was perfect. Paul led us through the day, made sure we had everything we needed, putting lunch aside for us and so on. The food was amazing, everyone complimented it! All of the staff were discreet but helpful – we loved it that one of the guys clearing glasses danced across the dance floor to tidy up, he was clearly having a good time too! The Compasses couldn’t be a more beautiful venue – it has a wonderful country pub feel to it and was everything we could have hoped for and more. We want to thank the whole team for making our wedding so memorable – we only hope we know someone who gets married there so we can return!! We cannot thank The Compasses enough for making our day what it was, we owe it to them! Paul and Claire were incredibly helpful, attentive, interested, considerate and above all, absolutely fantastic!! The Compasses have really hit the nail on the head with this venue, everything is perfect from the staff to the food to the toilets! Nothing was too much trouble and our big day went without a hitch, so flawless and well organised! They listened to exactly what we wanted and gave us 100 times more than that. We had some particularly difficult circumstances surrounding our day with personal family matters, and they did everything they could to help and assist in making it all possible. We could go on and on but if you are looking for the best day of your life, this is THE venue!! We would recommend The Compasses 100 times over and we're hoping we get invited back for a wedding so we can visit again and have some more of the chef's amazing creations! From the bottom of our hearts, we truly thank you for giving us the most breathtaking day! We just wanted to say a massive thank you for hosting our wedding reception in September. The whole day went perfectly for us and this was in no small part due to the efforts of Paul and the bar, kitchen and waiting staff. We were beyond impressed with the quality of the food (for the wedding breakfast, evening meal and hors d'oeuvres), the professionalism of your staff and the friendly and welcoming atmosphere that was present the whole day. Nothing was too much trouble, and Paul made sure everything went smoothly without any input (or stress!) from us. We cannot thank you enough for all of your work ensuring that our wedding day was perfect for us. We loved the venue right from our first visit. It was perfect for the small, intimate wedding that we both wanted. We were not disappointed on the day either, all went smoothly and nothing was too much trouble. It was a fantastic day, with many positive comments from our guests. From the booking up to and including the wedding, even afterwards, responses to emails were quick and prompt. Thank you to Jane, Paul and Claire, especially, but also to all the other members of staff who made our day so memorable. After having our Wedding at The Compasses at Pattiswick, we can not recommend the venue highly enough. In fact, we only viewed two venues and our search stopped as soon as we visited the venue and met Paul. If you are looking for a relaxed day with a unique spin, then look no further than The Compasses. From the minute we met Paul, we knew that we would be in extremely safe hands. Paul has the unique ability to know exactly what is needed and when, and has a wealth of experience to guide the planning of your big day. He makes a great team with Claire, who was always at the end of an email to answer all of our questions in the lead up. The venue itself has enough space for guests to find a quiet area to chat, while also creating enough atmosphere when they spread out. We included lawn games for our summer wedding, which were great in the large garden and there’s even an assault course for the kids/big kids at heart. We managed to get some amazing photos both by the white gates at the entrance and in the surrounding fields and country lanes. And there was plenty of space for our guests to park in the car park. The bridal suite was an added bonus where we were able to store our things and gather the bridesmaids before the ceremony itself. 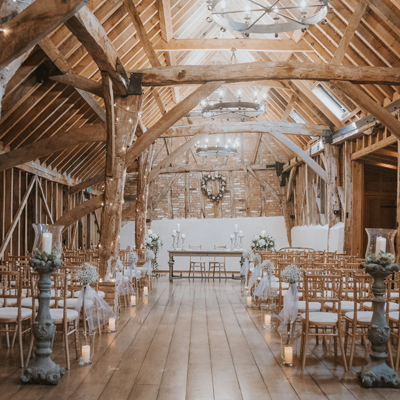 When you combine the fantastic venue with the amazing team, it would be impossible not to have the wedding of your dreams at The Compasses at Pattiswick and we shall always be grateful that we chose to have our wedding there. Thanks for everything, you guys are the best! Thank you so much to Paul and the rest of the team at The Compasses. Paul and Claire in particular have been fantastic from day one in making us feel special, reassured and in general providing such great consultation and support in planning our wedding. We could not fault yesterday and we both had such a great day. All our guests were so pleased with their food and especially the dairy free/veg accommodations. The attention to detail in presentation was amazing and everything was so delicious. Big thanks to allowing our dogs to be in the ceremony room too! I'm sure they would thank you if they could. Everyone commented on how lovely the venue and grounds are. We are so happy we decided to get married at The Compasses.